Volkswagen has released images of its upcoming, brand-reinventing electric hatchback. These are the first shots of a non-concept I.D. The photos show the car under camouflage, so we’ll have to wait to get a better sense of all of its design details, but they do reveal the overall proportions and look. And they look reasonably like the concept, first revealed in Paris in 2016. That said, the design has changed a bit and a more accentuated beltline appears to have been added (and of course the suicide doors have been done away with). The wheels, though, are about as close to the corners of the car as could be reasonably expected, which will be good for everything from handling to interior volume. Volkswagen promises that the I.D. Hatch will have Passat-rivaling interior volume despite being roughly the same size as a Golf. And we have no reason to doubt (the broad strokes) of their claim because electric cars’ drivetrains are more compact and flexible, so they can be organized for more interior space. The I.D. hatch should be good for between 200-375 miles of range (depending on trim) as well as 125 kW DC fast charging. 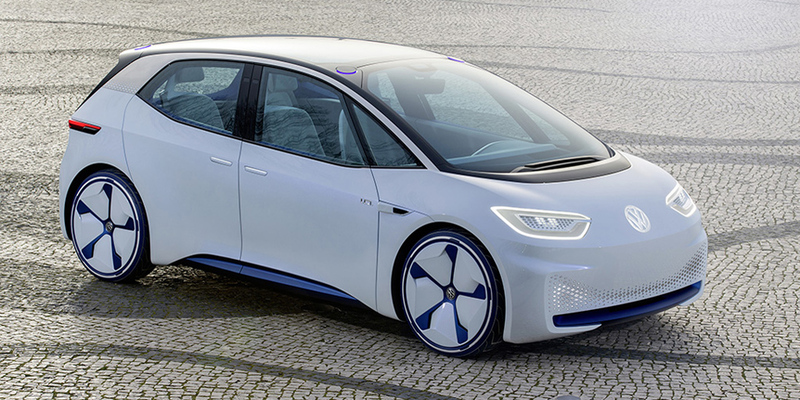 Expected to be unveiled and go on sale in 2019 (as a 2020 model), the I.D. Hatch will, unfortunately, not be sold in the US. Instead, we’ll be getting a crossover based on the I.D. Crozz concept shortly after the hatch is done with its time under the spotlight.